St Germoe Church is found nestled in the valley of Germoe village and serves Germoe and the surrounding area. Christianity came to Germoe and the surrounding area in 500 AD with the arrival from Ireland of Saint Germochus. This event is now recognised both in the name of the village and in the dedication of the church (parts of which date from the twelfth century) to St. Germoe. 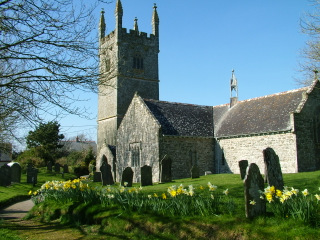 The church is much loved and well kept and there is a warm and friendly welcome to all visitors. The Patronal Festival is the first Sunday in May nearest to 3rd May. Germoe Church Hall provides an excellent meeting and social venue for the congregation and is also avaialble for community and private events and activities.